What Does Remembrance Day Mean? Browse: Home > Blog > What Does Remembrance Day Mean? 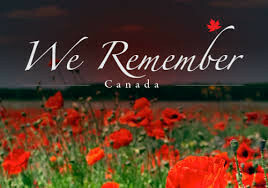 In 2015 Remembrance Day is on Wednesday, November 11. On remembrance day members of the armed forces (soldiers, sailors and airmen) are commemorated. The other common name for this day is Armistice Day which marks the date and time when armies stopped fighting World War I. on November 11th at 11am in 1918 (the eleventh hour of the eleventh day of the eleventh month). Some 100,000 Canadian soldiers died in the First and Second World Wars. In Canada, Remembrance Day is a federal statutory holiday – with a notable exception of NS, NWT, ON and QC – as it is in many other countries in the world where this day is observed on the national level. All government buildings fly the Canadian flag this day and people remember those who fought for Canada during a two minute silence at 11am. Many people wear poppies before and on Remembrance Day to show their respect and support for Canadian troops. Poppies are generally handed out free but often a voluntary donation is given in exchange. Visit FVEPA Facebook page for a list of Remembrance Day activities in the Fraser valley.